When Google introduced their Pixel Buds at their October 4th, 2017 event, it showed that Google was not only interested in making phones, smart speakers and laptops but also getting in the wireless earbuds game. However, I’ve been using the Pixel Buds for the past few weeks and Google has some good ideas but were just flawed in their execution. Unlike other wireless earbuds, the Pixel Buds aren’t truly wireless. They have a fabric cable running between them. 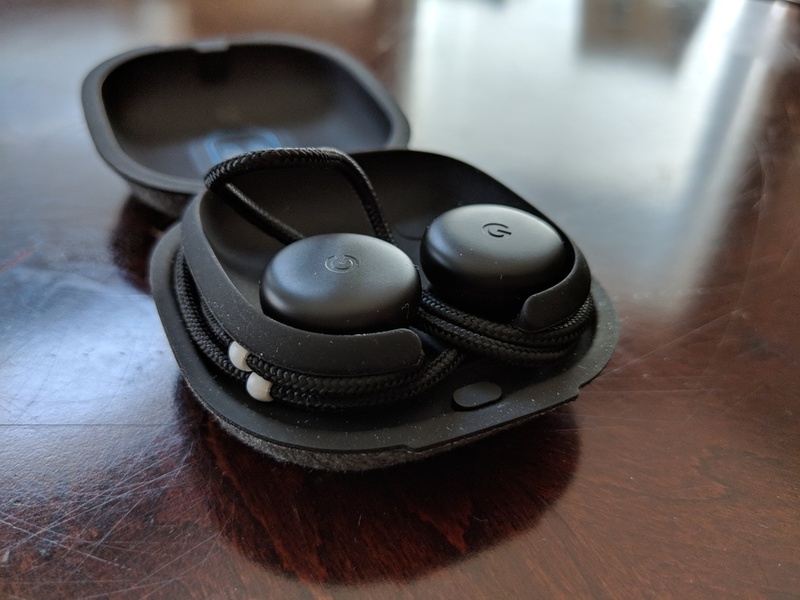 The right earbud has a touchpad that you use for controlling functions on the Pixel Buds such as volume and play and pause your music and activate the Google Assistant. Each earbud has a Google logo on each and a small loop that you can adjust to help the earbuds fit in your ears. The adjustable loop seemed like a good idea so you wouldn’t have to fiddle with different ear tips but I found that the Pixel Buds would fall out of my ears. The Pixel Buds have the Google Assistant built-in. To activate it, you can hold down the right earbuds to do so. 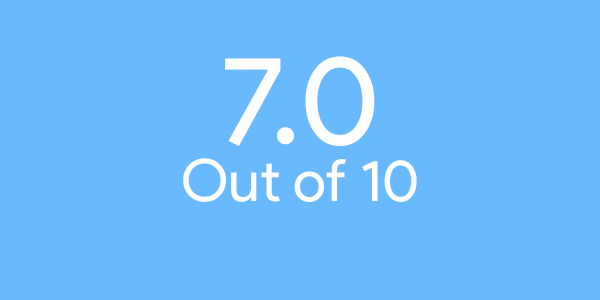 During my testing, I had some issues with the touchpad, I would tap it but it would sometimes wouldn’t register it. 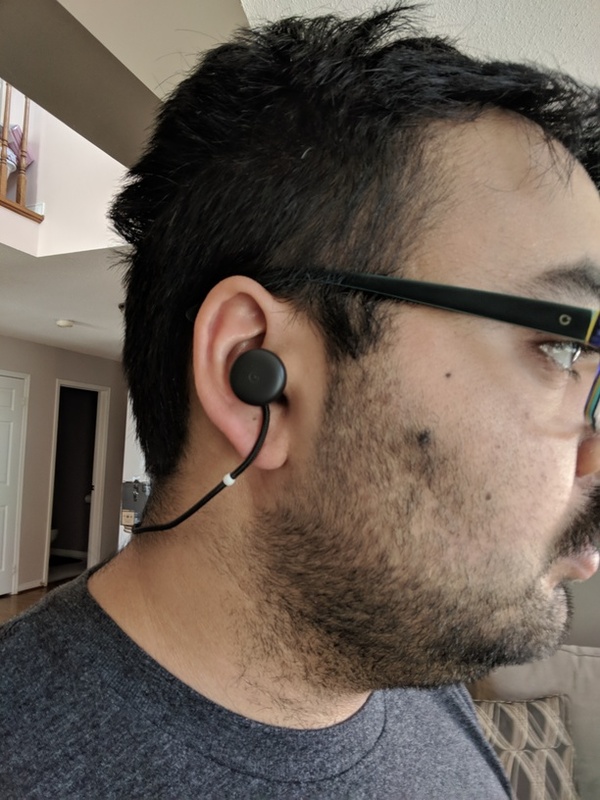 With the Google Assistant in the Pixel Buds, you can ask Google questions, send messages, get notifications read to you (by double tapping the right earbud). When you ask the Google Assistant a question using the Pixel Buds, it uses your phone’s internet connection but sometimes it takes a minute or so for it to do so. The Pixel Buds can also be used to translate in real-time using Google Translate. I didn’t find myself using it that often but that also relies on using the Google Translate app on your phone. The earbuds come in a case that connects to them using small connector points. The case itself charges over USB-C. Getting the Pixel Buds back into the case it a bit of a pain, since you have to first place the earbuds in the slots then wrap the cord around inside the case. You can get around 5 hours of listening time with the Pixel Buds and the case gets you about 24 hours of additional charge. The Pixel Buds sound good but not amazing. 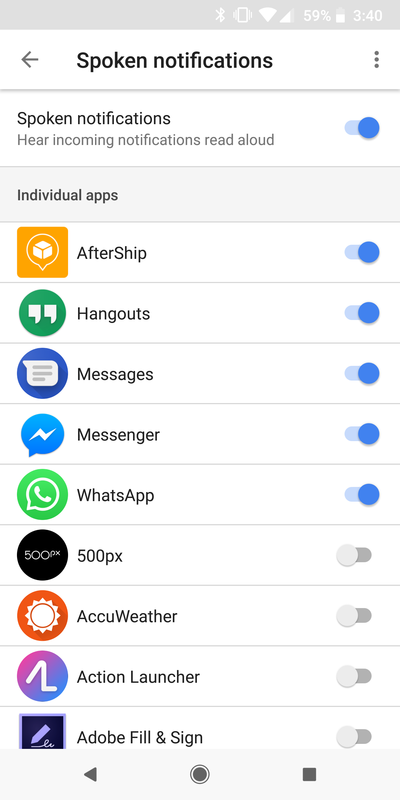 There’s also no way to change the sound settings on the earbuds. The Pixel Buds are also not able to isolate sound from the outside world like other wireless earbuds can. 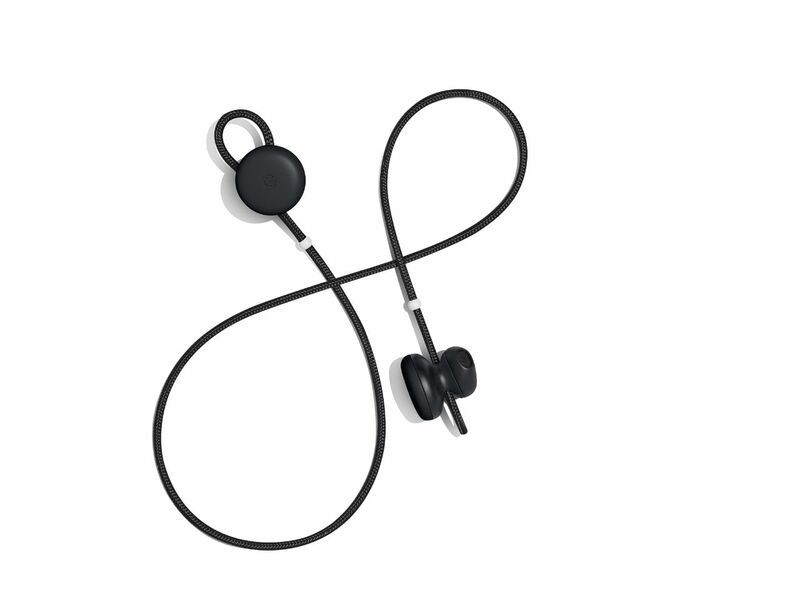 The Pixel Buds are available now in three colours, Just Black, Kinda White and Almost Blue for $219 CAD from the Google Store and BestBuy.ca. To connect to the Pixel Buds, all you need to do is open the case with the earbuds in them, and they can pair quickly to your Android device with Nougat or later. The Pixel Buds connect to your phone over Bluetooth. 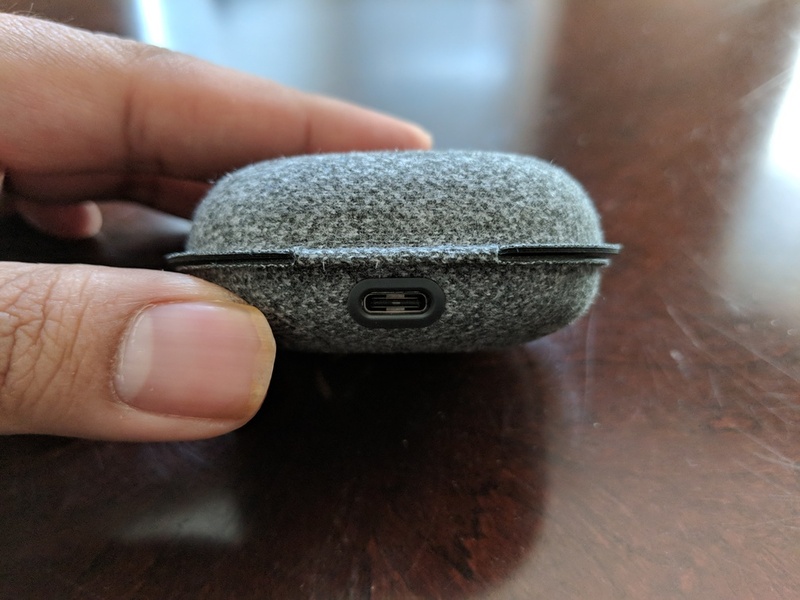 The other option to connect your phone to the Pixel Buds is using the button inside the Pixel Buds’ charging case. 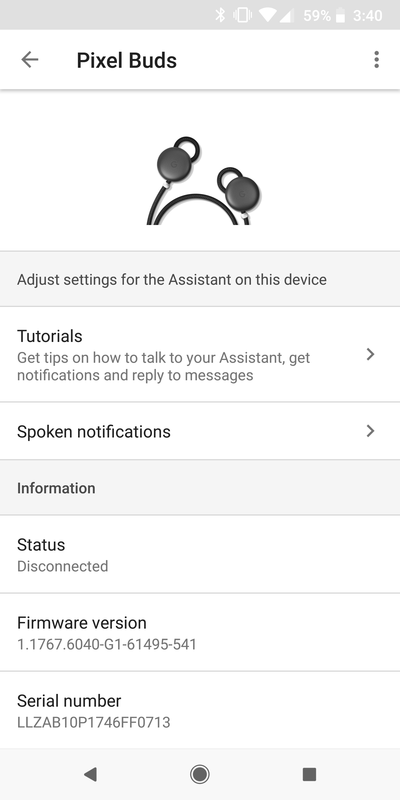 As mentioned earlier, the Pixel Buds have the Google Assistant built-in which can use to control the earbuds using your voice, ask questions and send messages. Overall, the Pixel Buds are good, but they a bit expensive for what they can do. Sure they can connect to the Google Assistant but sometimes that doesn’t always work or it takes longer than it should. The Pixel Buds are also priced at the same price as the Apple AirPods at $219 CAD. The Pixel Buds don’t fit as well as other earbuds and it would have been nice if Google had designed the Pixel Buds as truly wireless earbuds rather than corded Bluetooth earbuds.